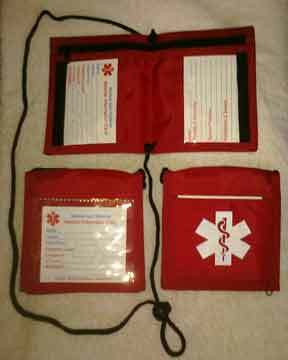 All Medical Alert Wallets, 'Nylon Medical Wallets' have a medical symbol on the outside. A variety of styles and colors for you to choose from. 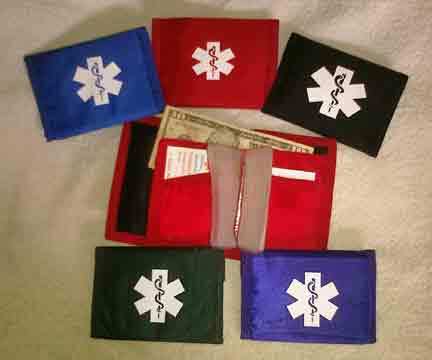 The tri-fold medicine wallet, the open top nylon neck wallet, the 2 zippered neck wallet, the bi-fold neck wallet, the zipper at top neck wallet, the Travel Lite Medical Wallet, the Nylon Easy Close Wallets like the 'Nylon 'Sports' Medical wallet'and the 'Nylon wallet with black trim'. 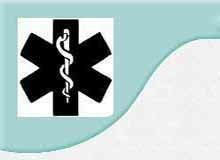 Simply click on a picture or a word link to get more info & to buy.